If you live in Central America and have something to say about the region, you can say it here. We are always seeking guest writers, photographers, and video makers who live in Costa Rica, Panama, Nicaragua, El Salvador, Honduras, Guatemala, or Belize. If you can provide high-quality content that generates a conversation about Central America, we will publish your work. The idea is to share as many experiences as possible about this part of the world. 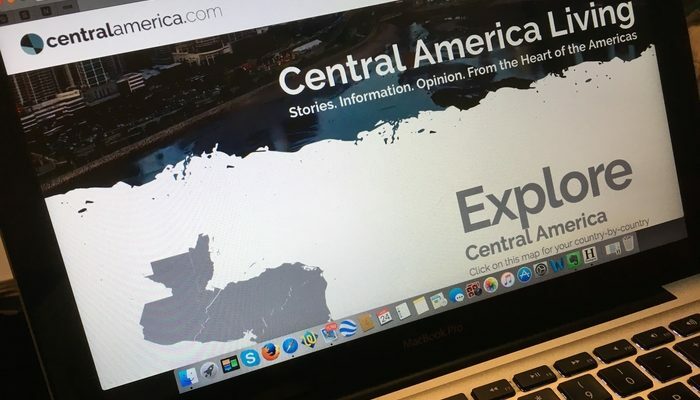 As a guest contributor on CentralAmerica.com, we will link your blog, business, or social media and help you promote yourself. This is very fluid. We want to encourage creativity. To that end, we leave a lot of leeway for what our contributors believe are suitable topics to write about. There are so many ideas out there. A whole subcontinent’s worth (wait… is Central America a subcontinent? That’s an article idea right there!). The thing to remember is this place is both an information source and a source of stories. A source where the reader can get a feel for everyday life in Central America. Expat tales. Stories and interviews of expat entrepreneurs doing interesting things in Central America. Actually, stories and interviews of anyone doing interesting things in Central America. Informative pieces (Driving, road conditions, crime, health, etc.). Reviews of local businesses, restaurants, hotels, etc. Area overviews from a real estate or tourist point of view. Tell us about the Central American town/area that you live in! Social issues/problems in the area where you’re at and solutions. Comparisons between the countries (example: “What Is Cheaper, Costa Rica or Belize?”). Opinions on current news stories relevant to the country/region. We are not looking for news stories. Anyone can translate or rewrite stories from the local press. We want YOUR local/expat opinion on the news story as to how it relates to your community as a whole). Opinions on anything going on in Central America! Travel writing. Tell us about your adventures in Central America! Help others to explore the region through your words and images. Business info. Do you run a business in Central America? Can you help people out with permits, taxes, legal stuff? Give them a helping hand! The above ideas are a snapshot. If it’s well-written and pertains to Central America, we will accept it. Anything you want to say about Belize, Costa Rica, El Salvador, Guatemala, Honduras, Nicaragua, and/or Panama is something we believe is worth listening to. Be creative! Again, we are flexible here. Quality is more important than quantity. Most of our written articles are between 700 and 2,000 words. If yours come in anywhere between these lengths, then we’re happy, although we prefer over 1,000 words – long-form content performs much better. Please also provide at least three photos with your articles. Our published photos are 700 x 400 pixels for in-article pics and 1,200 x 900 pixels for photo-essay pics. Please make sure whatever you send is larger than these so we can size them down, if necessary. For photographers providing nothing but photo content, please also make sure to adhere to these sizes, too. If you are a photographer sending in a photo-essay, please give us some written material, outlining what you’re trying to say, as descriptions of the photographs themselves. The written description can be anywhere between 300 and 500 words – or more, if so inclined. Please ensure your work is grammatically correct. If it isn’t, we will either send it back to you for editing or not accept it at all. Be aware also, we may send your work back to make suggested changes that will suit our audience better OR we may edit your work ourselves to suit our audience better. If we edit your work ourselves, we will do our best to ensure we keep to the original spirit of your article. When you send us your work, please also send us a short (no more than 150 words) bio written in the third person. We will also need links to whatever you wish to promote. Your blog, business, or social media presence. Without this info, we cannot publish your work. As a guest writer with us, you are free to write about or promote your own business in an article. If you represent a company looking for sponsored content on CentralAmerica.com, please go to our Advertise/Press page. We will be happy to chat with you. To reach us, please email us at info@centralamerica.com, go to our Contact Us page, or feel free to reach out through Twitter or Facebook. We look forward to sharing your Central American experiences.